I am Lois Auta passionate about civic leadership, creativity, humanities, politics and community development. I was born on April 29, 1980 in Plateau State and hail from Kagoro, Kaura Local Government of Kaduna State, Nigeria. Poliomyelitis affected me at age two but I have scaled through countless hurdles even as an orphan and physically challenged woman. 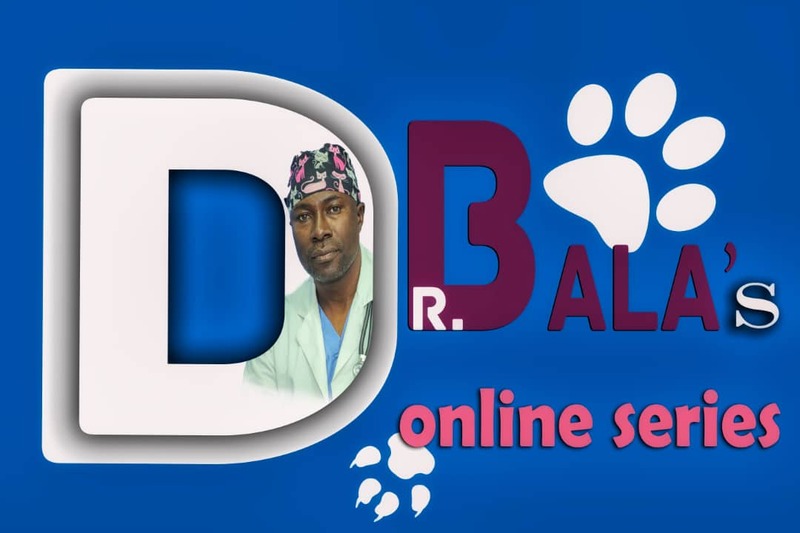 I am the founder and former Executive Director of Cedar Seed Foundation, Nigeria. I am vibrant and productive, a role model to many, local champion and global citizen, Nigerian politician, hardworking, full of life and energy, brave, courageous, independent, mentor, full of innovative ideas and a strong development bridge builder. I have over five years of experience advocating for the betterment of persons with disabilities locally and globally. I am a Mandela Washington Fellow, Ashoka Changemaker Scholar, Aso Villa Demo Day Finalist, I was the only Nigerian selected in 2017 and the first black woman with disability from Africa named Young Global Leader of the World Economic Forum. I see my disability as a bridge and not a barricade, as a blessing and not a curse, as strength and not a weakness and I see my disability as an opportunity to change the world. 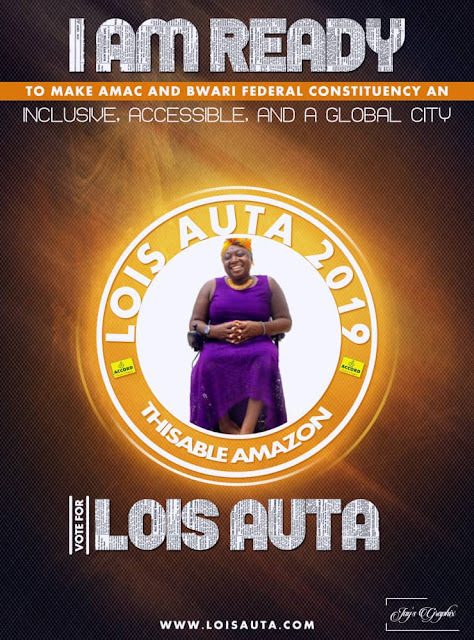 I am a woman with 99.9% abilities and experienced disability icon with a confirmation history of working in the civic space. I believe when given the opportunity to serve the people at the office of House of Representative 2019 AMAC/Bwari Federal Constituency, FCT-Abuja I will make things happen for every citizen. 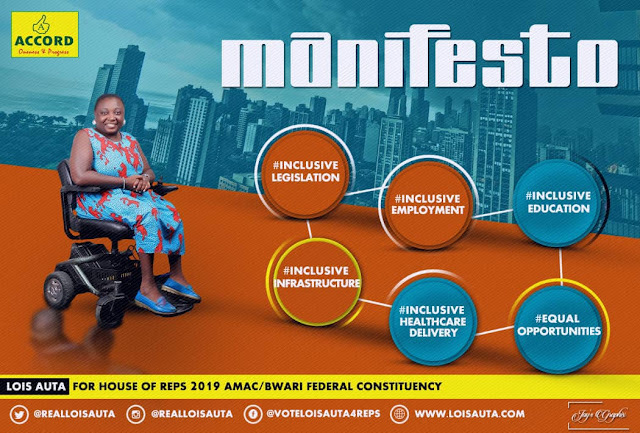 I will ensure AMAC and Bwari Federal Constituency has become an inclusive city, accessible city and a global city before the next four years. I do not have legs but I have mouth to speak, hands to write, brain to think and act beyond disability, see my persona and not my wheelchair. I am going to be your disability voice until your rights are given and your issues are included in government policies and programs. 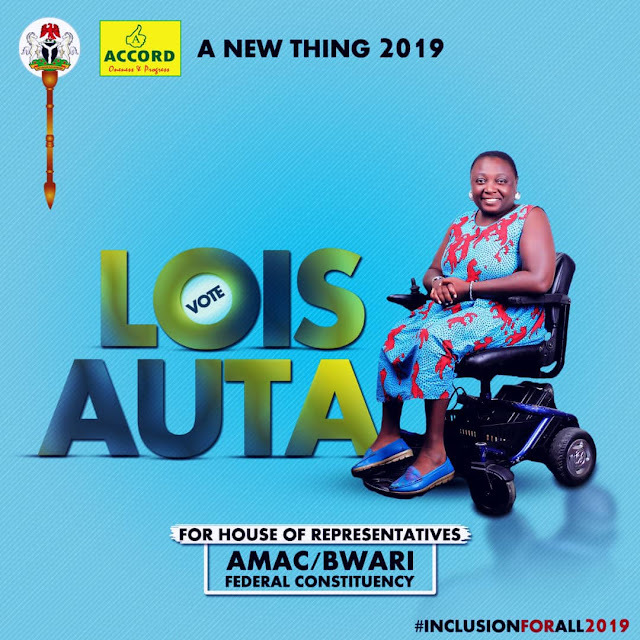 It is going to be a new thing in Nigeria when I become a member of the parliament as the first woman with disability to be there. It is going to be innovative, historic and will give my party a good name as the most inclusive party (ACCORD) in Nigeria, Africa and the World. The number one party logo in the ballot paper is ACCORD and number one in inclusive politics. I have never allowed my disability to make me a liability despite my humble background but fought my way through life. 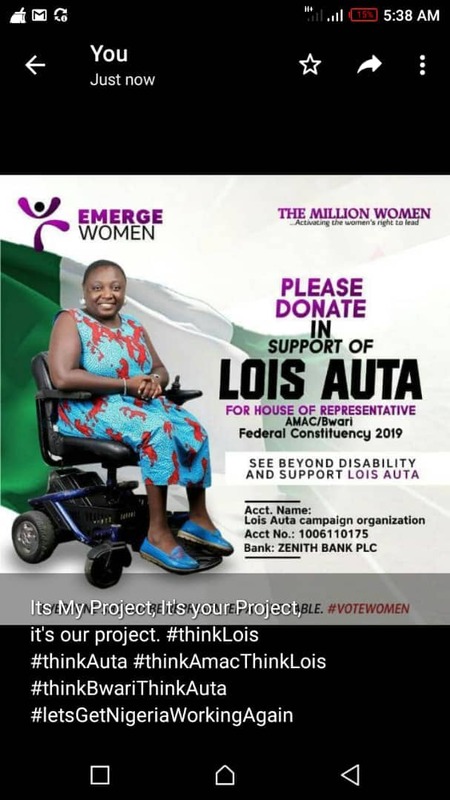 I am the President, Disabled Sports Club, President - Women on Wheels, 1st Vice President – Mandela Washington Fellowship Alumni Association Nigeria Chapter. Assistant National Coordinator - Advocacy for Women with Disabilities Initiative, Board Member - Potters Gallery Initiative and Member - Joint National Associations of Persons with disabilities. I have a diploma in Public administration from University of Abuja and Bachelor of Science in Public Administration from the same institution. Lois is a young vibrant woman who is very productive, full of life and energy, a role model, brave, courageous, independent, mentor and intelligent. 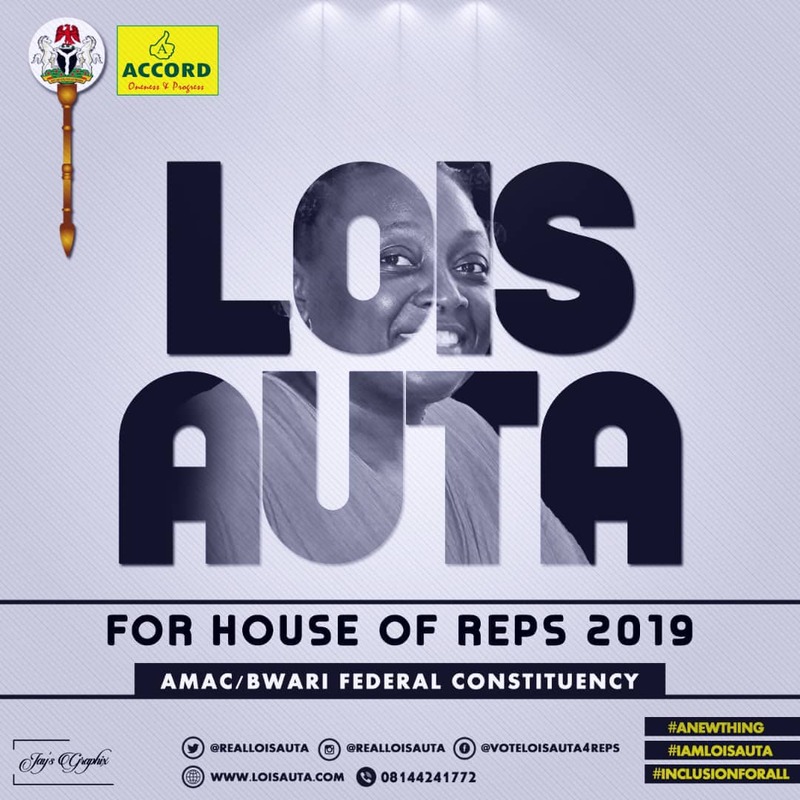 I am a jealous guardian of our democracy, I embrace the joy to continually participate, advocate and improve the greatness of people of AMAC and Bwari. I want to see every citizen in my constituency included not excluded. I want to lead not rule. I want to see AMAC/Bwari Development Fund for the unskilled. I want to provide solutions not being part of the problem. I want to be closer to the people by establishing constituency offices. I want to see good roads, good hospitals, inclusive transport systems, inclusive technology, inclusive and best schools in my constituency. I want to stop the traffic jam in Abuja roads. I want to improve the living standard of AMAC/Bwari citizens. I want to feed every family through agricultural modernization. I want to see the unemployed being employed. I want to see every child in school. I want to see an inclusive curriculum. I want to see inclusive infrastructures everywhere. I want to see equal opportunities for women, young people, persons with disabilities and young girls. I will work in collaboration with passionate people and partners to achieve the sustainable development goals. 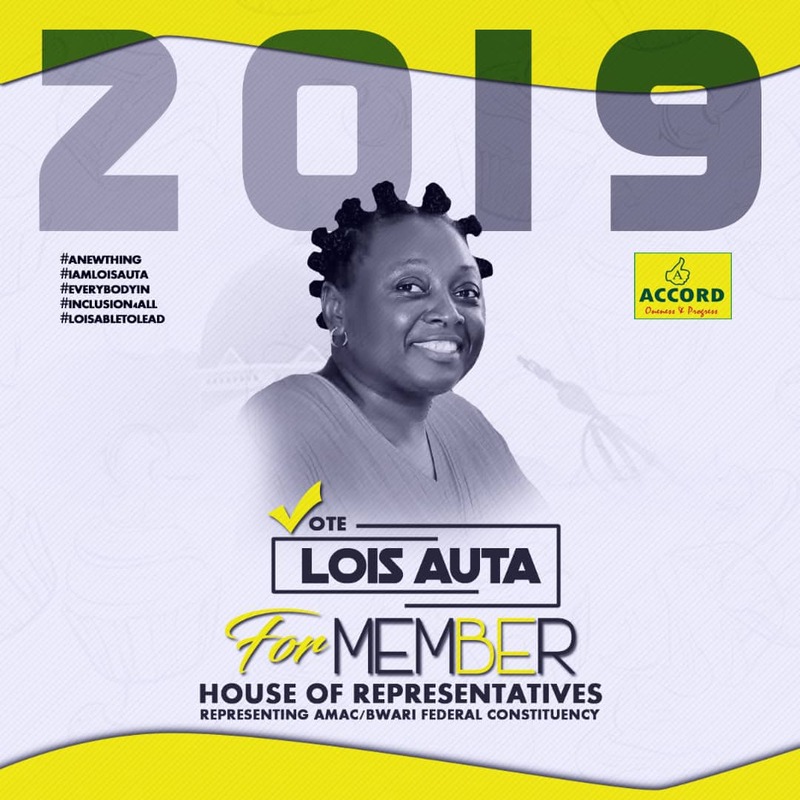 I represent inclusion, development, progress, innovation, ethical leadership, partnership and best ideologies.